Project: Gorgon is a primarily PvE MMORPG in which there are no classes, but a large variety of combat and life skill types determine what each player is able to do and what role a player ultimately end up playing. Interacting with NPCs is a huge part of the gameplay, with each NPC having its own personality and preferences. The game prides itself for offering gameplay that encourages exploration and teamwork by offering very little hand-holding. SoulWorker is an cel-shaded anime-styled MMORPG that offers rapid action combat, very unique combat styles for each character available and intense dungeon fights. It is an instance-based dungeon crawler where you play as very powerful waifu characters. Tale of Toast is an indie MMORPG developed by Toasty Leaf, a two-man team from Sweden and America. The game is inspired by old school MMORPG and board-games and offers a high-stakes PvP heavy gameplay with adorable anime-styled characters and graphics. Watch the video below and tell me those sound effects aren’t voraciously adorable! Conqueror’s Blade is a sandbox warfare MMORPG that takes inspiration from ancient Eastern and Western civilizations and warfare. The game puts together action combat with tactical movements, with a chosen class role and one’s army to command. Yes, you command an entire army along with your character of chosen class! The gameplay includes controllable medieval teams where players command dozens of powerful and varying troops from Eastern samurais to Western medieval knights of old in large-scale siege-like scenarios of over 1,000 troops in battle. Closers is another cel-shaded anime-styled MMORPG like SoulWorker, however it is a side-scroll game. The game is set New Seoul, a futuristic world in which mysterious dimensional gates have opened and set loose dimensional monsters throughout the world. 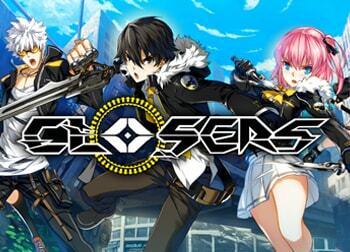 You play as one of the kinetic powered “Closers” to stop the monster invasion and close the dimensional gates. Progression is done by completing story quests that take you through dozens of challenging dungeons. MU Legend is the follow-up game to MU Online. This game features hack n’ slash combat and insanely deep character stats and skill customization. This means you can choose to be an insane DPS player or an insane healer if you so desire. Kritika Online is a cel-shaded, sort-of anime-styled dungeon crawler MMORPG with extremely fast paced action combat focused mainly on very challenging dungeons and small scale PVP, like 1v1, 3v3, and higher tiers. The classes or characters are all gender-locked. Each class has very different gameplay, style and combat speed, and the variety branches out even more with job advancements. Dauntless is a multiplayer action RPG with a mix of elements similar to Monster Hunter games and MMORPGs. Players venture into floating islands in search of “behemoths” or giant beasts to fight. The game features skill-based action combat in which combos and well-timed dodges determine one’s performance in battle. MU LEGENDS is the best of this list by far. There are complaints that the graphics are a little dated but it runs well on most gaming machines within the last 5 years or so set on highest settings and is a beautiful game. Its fun to have a strong group or guild for dungeon work but there is something to be said about venturing in solo praying that you will survive the onslaugh.A true gem. A must play for a serious gamer.